I wish I'd said that... you know those remarks that make you think, smile, react. This App gives you tonnes of them. Personal - add your own favourite citation. You can set font sizes, colours, language (English, French, German, Italian, or Spanish). The i button takes you directly to the Wikipedia page of the author. You can easily add any phrase to your favourites. The App makes itself all the more enjoyable due to its clean lines. This represents a huge amount of information for a mere $1. It's not so much that you 'have to have' the App, just that life is more enjoyable with it... and you will learn lots of facts, just by 'being tempted' to take a look. The App works, as expected. You can share content via Facebook and Twitter, as well as Email and message. 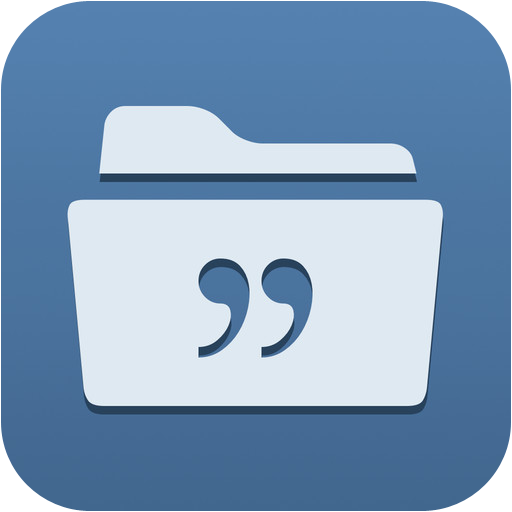 You can get Quotes Folder here and support for the App here. The difference between the right word and the almost right word is more than just a fine line! it's like the difference between a lightning bug and the lightning see it here.